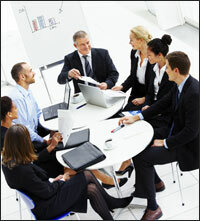 With the increase in globalisation, business enviornment has become competitive. In this scenario, every businessman wants to succeed in the market place. Astrological Consultation specific to your horoscope with an experienced astrologer may reveal the ways in which negative planetary obstructions could be warded off and the advantage of positive and yogakaraka planet in your horoscope could be gained. If you feel that in spite of your hard work, you are not able to see proper growth in business, then there must be some planetary obstruction that is affecting your growth. In such situations, it is better to consult an experienced astrologer so that specific remedies based on your natal and other divisional charts could be advised to you. There are however some general and effective Astrological remedies and Totke that can be done to improve business. Some of such remedies are given below. It is necessary for the success of such remedies that you are giving your 100 % efforts to your venture and you do these remedies with sincerity, faith and full devotion. On every Amavasya (no moon day), give dhuni of Rai in your business place to remove negative energy which may result in increase in your sales. Whenever material is procured for your business, buy some toys along with it and gift such toys to small children. Install Energized / Abhimantrit Narmadeshwar Shivlinga and Abhimantrit Shree Yantra in your shop and regularly worship them with full devotion to achieve growth in your business. You can contact Lal Kitab Astro Centre (LKAC) for getting energized or Abhimantrit Narmadeshwar Shivlinga and Shree Yantra. For increasing sales of your business, scatter a fistful of pepper and black grams in your shop on any Sunday. Sweep them yourself with a broom and bury them at any deserted place. Have one Peepal leaf on Saturday. Worship it with incense stick and keep it below the place where you sit. Do it for 7 Saturdays. When seven leaves are collected, they all should be flown in a river. You can bring an iron nail or bolt from a shop which is doing brisk business. Keep it in a glass bottle with 10-15 granules of Black Urad Dal. Regularly show incense sticks and dhoop deep to it and keep it at a place where customers cannot see it. On a Saturday have one mala of seven green chilli and seven lemon. It should be hanged in a manner that customers could see it. Have 11 Abhimantrit Gomti Chakra and keep them in a red cloth at a place where you keep your money in your shop. Make some Besan ladoos, wave them round your head seven times and feed them to a cow on Thursday. Worship Maa Lakshmi regularly and on Friday night lit nine pure Desi Ghee lamps in your business establishment as well as home. 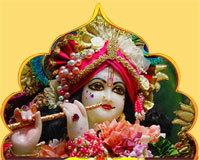 Recite Shree Suktam. Today I am sharing with you an effective tried and tested Lal Kitab Totka to remove financial obstacles in your business. There are many businessmen who are seeing a decrease in their business or witnessing financial losses in their business. It would be better if they take specific astrological consultation to improve the chances of their success because general remedies are not at all substitute for specific professional consultation. 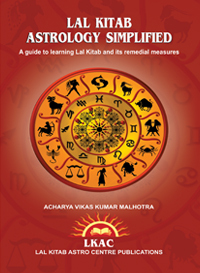 Still for the benefit of all people associated with us and thousands of our followers, I am sharing an effective lal kitab remedy which can open your chances of success in your business. For doing this remedy, take some raw cow milk and mix some saffron in it. This remedy can be done on any Monday morning after sunrise. Take raw cow milk with saffron mixed in it to an Ashoka tree and remembering Maa Lakshmi offer this milk to the roots of such tree and lit nine incense sticks at the tree. Now use your ring finger to have a tilak on your forehead with the wet soil and take some wet soil along with you in a small pouch to your house. Remember come back to your house without looking back. If in any case someone interrupts you in this remedy, then you have to do the remedy again on any other Monday. The same remedy has to be repeated on coming Saturday but this time offer milk with saffron to the roots of a Peepal (bodhi) tree. As was done before, use your ring finger to have a tilak on your forehead with the wet soil and take some wet soil along with you in a small pouch to your house. Now mix the wet soil of both Ashoka tree and Peepal tree and keep it in a yellow silk cloth at a place where you keep your money either in your shop or business establishment (preferably) or in your house. In some time, you will feel a positive change in your business and financial condition. For specific remedies and consultation you can book your appointment by visiting our website. Nowadays many businessmen are facing problems in increasing their customers especially after demonetization when the market sentiment has gone down considerably. Most of the businesses today are witnessing decrease in their business. I am sharing some of the simple remedies which can be done by you to ensure growth of business. If these remedies give some positive results to you, consult for specific horoscope consultation. 1. To tide over business problem, after your early morning bath, offer water to the rising Sun and chant Gayatri mantra alongside. If possible, chant Aditya hrudaya stothra also. 2. If you are worried about dwindling number of customers, cut 5 Limes to pieces on a Saturday, add Mustard seeds, some black Pepper and a Clove. Keep them in the establishment. Following day, crush all of them between your hands. Repeat this and see success. 3. For growth of business, clean a portion of business premises with Ganges water; draw a Swastik with Saffron or Turmeric paste. Place Channa dal and jaggery. Light a ghee lamp on Thursdays.If problem arises, whenever material is procured for business, buy some toys along with and gift them to children. You will be happy to see the change. 4. Have energized Divine Vyapar Vridhi Yantra - Establish this energized Vyapar Vridhi Yantra (Business growth yantra) which is made and prepared specifically for initiating increase in business by our centre. The mode of installing this yantra and mantra to be chanted after installation would be mailed by our centre to all the clients. • Which business suits me the most? • When I would be able to grow or diversify my business? • You are facing many losses in business. What is the remedy? • Should I start a new venture or continue the existing one? • What would be the right time for investing in new venture? • Should I go for partnership or carry on the business on my own? • Should I do business in my name or in name of my spouse/children?